Grand Master Min has an extensive story to his life, one which deserves a book based on his life story. 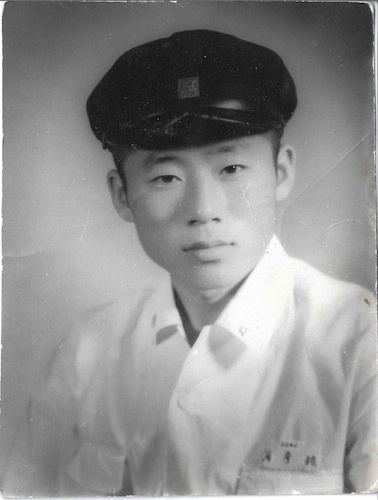 Many students and parents at our dojang always ask about what brought Grand Master Min to be the man he is today. This is the "short" version of his journey. Grand Master Min was forced into Taekwondo at the young age of 9 by his parents who were looking for him to gain some confidence. As a child, Grand Master Min was always shy, quiet, and displayed a lack of self-esteem. One of his greatest stuggles was public speaking as whenever someone would ask him a question, he could not provide an answer no matter how hard he tried. In the city of Chong Nam, South Korea, Grand Master Min grew up in a smaller community with his 5 siblings and 2 parents in a small home and like many families during this time, struggled to make ends meet. During this difficult time Taekwondo offered discipline, courage, and a hope for the future for many families in South Korea. After much thought by his parents, they had decided that Taekwondo was the best avenue for their son. After starting Taekwondo, Grand Master Min had hated everything about the Martial Art. In his dojang, he was the youngest and smallest student making him feel out of place and always like the runt of the group. Grand Master Min had an older cousin attending his dojang who would always take every opportunity to beat him up in class. Yet this experience had sparked a fire in him that would push him to learn more and be better at everything he would do. Grand Master Min's life, attitude, and demeanour had changed quickly. Although he was the youngest and smallest student, he was naturally talented at Taekwondo. Grand Master Min was always looking ahead to learn more and challenged himself with every task that was placed upon him. Eventhough times were tough, he had decided that life was not to hold him back from achieving his dreams. Some of the greatest qualities he had learned was Respect, Discipline, and Leadership. Grand Master Min was to respect his parents, his country, his dojang, his Master, and all of his senior ranks. He was to show discipline in class through focus, attentive skills, effort, and the idea of never giving up. It wasn't until Junior High that Grand Master Min learned the value of Leadership. He was to guide his juniors and those who were struggling during hard times to pull through and to continue on. As the county was becoming more Westernized, the value of material things were tempting for a young boy. But with 6 children in the family, Grand Master Min learned the value of sacrificing those material things that he wanted for his younger brothers and sisters. The walk to his school was approximately 5 miles. His parents who wanted to provide their children with all of the things they desired had a difficult time doing so. Grand Master Min had to walk through valley's, rocky roads, snow, mud and gravel to get to and from his school everyday. With only one pair of shoes that were too small for his growing feet, they quickly deteriorated and he was left with no soles to his shoes as they were worn down from his long walk. Grand Master Min for months on end had not told his parents that he did not have proper shoes as he had used cardboard as soles to walk in. 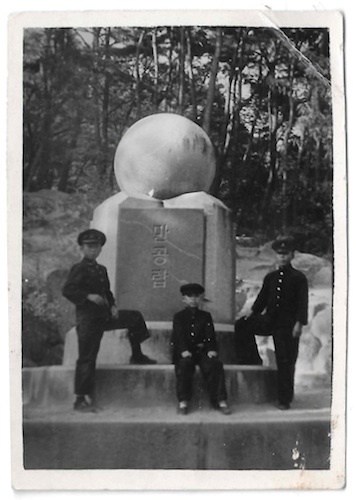 Grand Master Min believed he did not need new shoes as he was strong enough as a boy to walk without them. This allowed his parents to buy shoes for the other children in his family. Sacrifice, as Grand Master Min always says, teaches you values, appreciation and makes the will stronger. As times seemingly got better, highschool came around and Grand Master Min continued to show leadership skills in everything he did. Grand Master Min excelled in all sports from Soccer, Baseball, Volleyball, and of course Taekwondo. He was a part of every team and credited his athletic ability to Taekwondo. 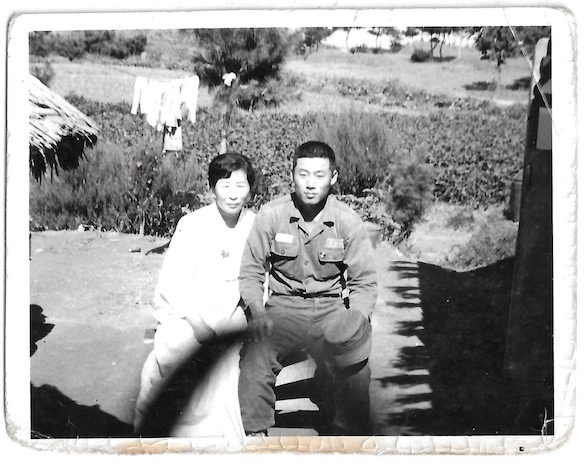 Upon graduating Highschool as a mandatory duty to his country, Grand Master Min joined the South Korean army and became a part of a very disciplined culture. Grand Master Min worked hard and earned several higher rankings to eventually lead and teach the military combative and survival skills. During his training, what seemed like a gruelling and often times impossible experience, was difficult to overcome. Grand Master Min had reminded himself of his goals and aspirations in life, and self-motivated himself and several of his military friends to continue on. The Vietnam war was of presedence at this time and there are many memories that Grand Master Min will never forget. Training in Taekwondo was his passion and Grand Master Min had trained anywhere he could. 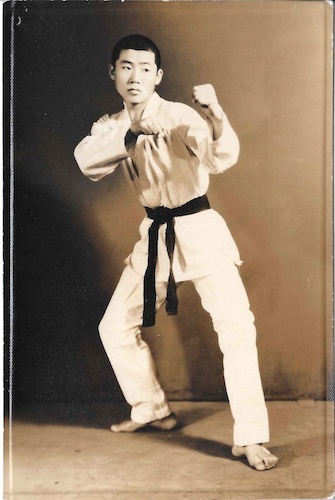 Grand Master Min had dreamed of becoming a Korean National Champion but struggled at the time with no training facilty and no training partner to train with, therefore was forced to train alone. He had wanted to perfect his back kick but had no target to practice on. So one day in his neighborhood, he found a tall tree, and for hours everyday, would back kick this tree until he could not stand any longer. 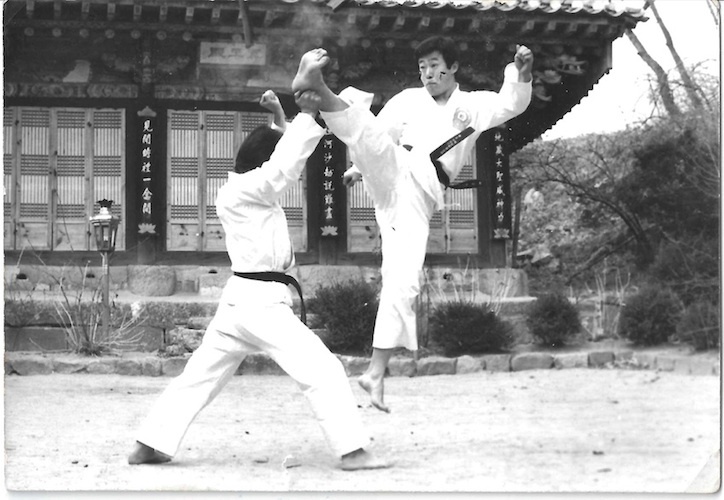 In 1969, at 21 years of age, Grand Master Min had trained hard and became a Korean National Champion. He had carried this prestigious title for 3 consecutive years. Grand Master Min always wanted to broaden his experience so he continued with his training and joined a Korean Demonstration team and travelled the world to show people the beauty of Taekwondo. On ventures like these, he had met celebrities like Bruce Lee, in which they had exchanged Martial Arts ideas and techniques. After some time in the South Korean military, in 1976 the World Taekwondo Federation (WTF) had sent Grand Master Min to Iran to train the Police Academy. Grand Master Min had lived there for 3 years. At this time, Grand Master Min was commuting to Seoul, Korea, where he met his wife and life partner. At this time Grand Master Min had a dream of living in Canada, and in 1979, moved to Canada with his wife. In 1982, with two small children, Grand Master Min opened his first dojang in Downtown, Edmonton, and began his legacy in Canada. 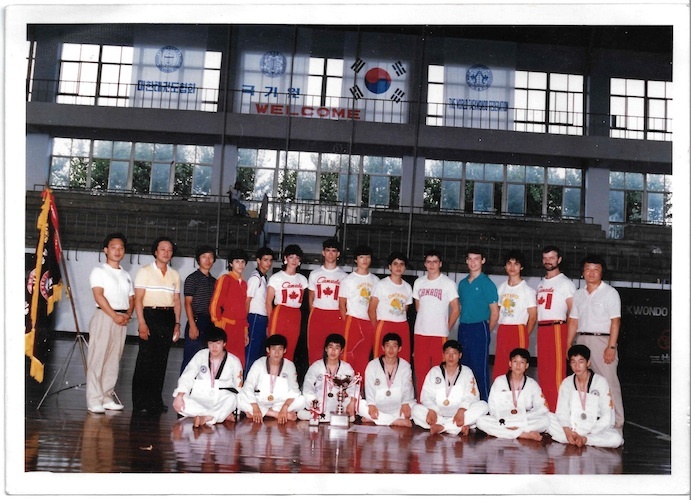 With Grand Master Min's extensive background and training experience, he began to train and coach many of his own students and was the Canadian National Team coach since 1985. He has served the WTF Taekwondo Association of Canada as a member and volunteered much of his time to the development of Taekwondo in Canada for over 25 years. 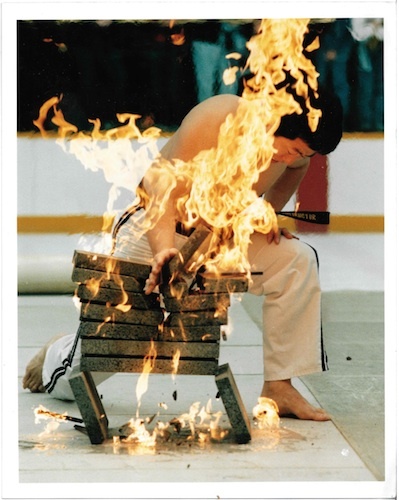 Grand Master Min was the Canadian Olympic Team Coach in the '88 and '92 Olympics and continues to contribute his time and efforts to athletes in his dojang. Grand Master Min and a student, Sayed Najem, together had a dream of becoming an Olympic champion. Sayed Najem had lived under the roof of Grand Master Min and trained many years to fulfill their dream together. Accomplishing this goal was not simple, but in 1992 at the Barcelona Olympics, Sayed Najem, with Grand Master Min in his chair became the Olympic Champion he always dreamed of. Grand Master Min continued to train his Edmonton athletes to excel in Taekwondo and had produced several champions year after year. Crediting their hard work, athletes such as Sayed Najem, Steven Goodwin, Mike Popowich, and Tony Pioquinto were just some of the athletes that trained countless hours to become Edmonton born champions themselves. Grand Master Min's has lived a life that many people only see in movies. His amazing life has lead to a Martial Arts establishment that has lasted over 25 years in Edmonton, and a total Taekwondo experience of 52 years worldwide. Today his dojang is full of instructional staff and students who share a passion like his, and he has taught many all of his students the value of respect, patience, integrity, perseverance, confidence, and always having and indomitable spirit! These are qualities that are a part of every instructor and student at Grand Master K. H. Min Taekwondo. The "short" version of Master Min's journey in pictures!